The flight out of Budapest was at 6:30 am so I don’t recall much of the 2 hour flight, as I knocked off pretty much after take off. I do recall the flight attendant offering us Nutella filled croissant and a beverage, I ate a few bites (didn’t even bother to take a picture!!) and woke up in Frankfurt when we landed at 8:20 am. We had an hour and a half connection from gate A to gate Z… Which was plenty of time. 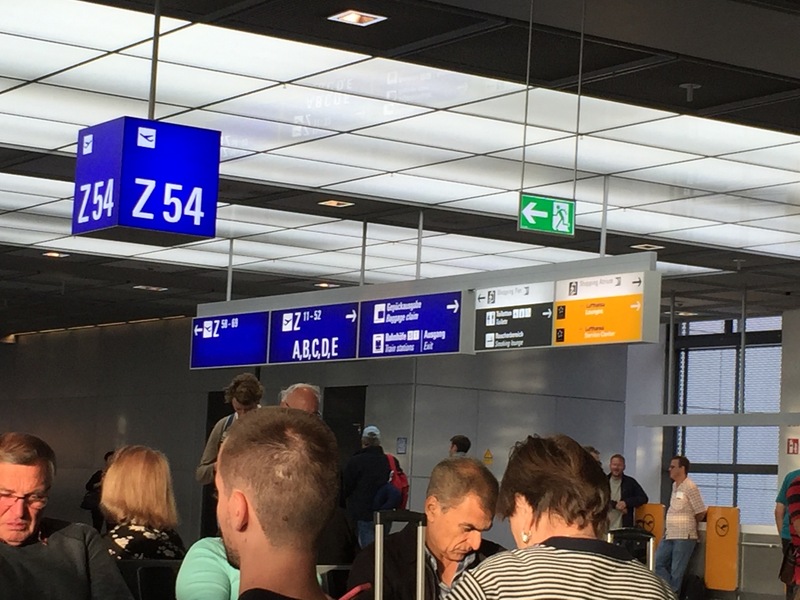 After you disembark from your plane, you follow the arrows to your next gate. Since we were going on an international flight, we had to go through Passport Control, which took minutes. There’s no TSA screening, just handing over your passport, answer a question or two, and then move on. Both times we were dumped into the Duty Free zone for shopping. 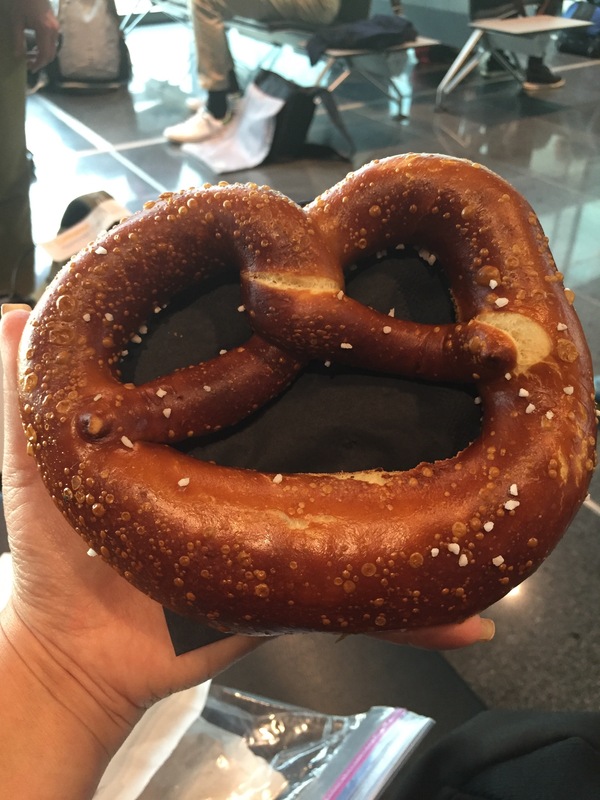 Since we were already maxed out on souvenir space, we made our way to gate Z, and even had time to stop to purchase our last German pretzel! We should be boarding shortly, and I’ll be back in LA enjoying a big gulp of Diet Coke (with ice) just after lunch! I hoped you enjoyed following me on my Germany/ Viking River cruise trip.